It has been a while, a little over a month to be exact. But alas, I have returned and in the end that’s all that matters, right? Wrong! Well in your case, you’re always here waiting for me, but in the real world why do we assume that people are always waiting on us? That our family, friends and lovers will be there in a few days when we finally decide to make time for them? The procrastinators among us push this waiting game to the brink, and it often results in broken relationships. The majority of us, however, just come up with some excuse for flaking out: I’m going through a lot right now, my family needs me, my phone died, etc. Because at the end of the day, the other person might be a little mad at you, but they’ll still be there. I once read a Chicken Soup for the Soul story about two friends, I’ll call Sarah and Jane. One morning, Sarah called Jane in a time of need, but Jane was busy and didn’t answer the phone. Jane didn’t wind up returning the phone call until later that evening, but then Sarah didn’t answer, so she left a voicemail. A few minutes later Sarah returned the call and when Jane answered, she told her that she was preparing the noose for her neck to commit suicide but when she heard Jane’s message she changed her mind. Sidenote: This happened in the days before everyone had cell phones—do you remember those days?! 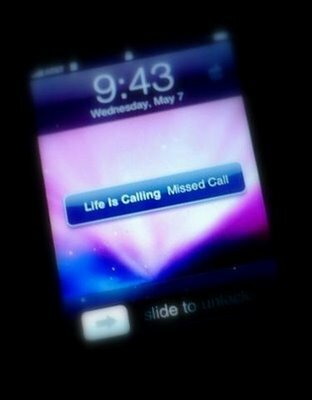 Now, I’m not suggesting every missed call is a friend contemplating suicide. But in today’s world where texting is so much more commonplace than calling, I tend to take phone calls more serious. And sometimes we are just really busy or off doing something else or waiting for an opportune time to return the call. I’ve certainly forgotten to return (and elected to not return) a few calls. My guess is it’s all about priorities…because at the end of the day, we make time for the things we want in life. ← Where are all the independent men?